Jeff Mann reports on the best sleep gadgets and technology on display at Somnex 2018 in London. We’ve been covering the consumer sleep technology space for a number of years now, but last weekend was a special event. 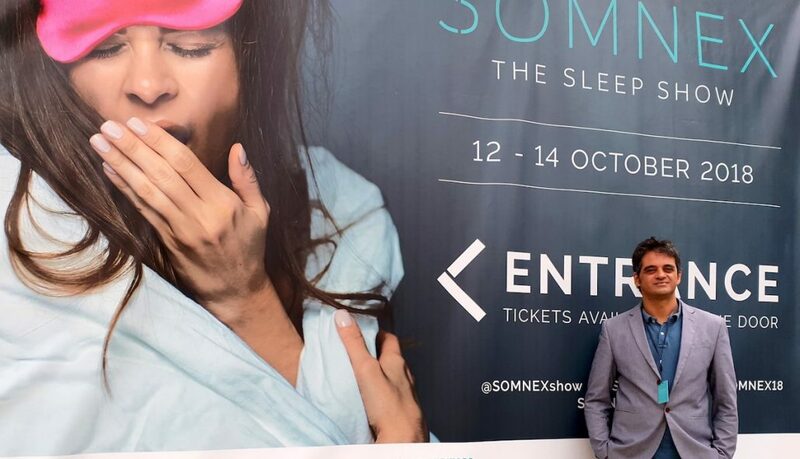 The occasion was Somnex -The Sleep Show – the world’s first ever trade/public show for the sleep-health industry. And what’s more, it was right on our doorstep, just a fifteen minute hop on the tube to Shoreditch, in the heart of East London. A sign of a booming $40 billion sleep industry, Somnex brought together a wide selection of organizations and individuals, all with the common interest of raising awareness and promoting products and services to improve sleep. As well as over 120 exhibitors, the three-day show featured talks, workshops, demonstrations, a beauty spa, yoga/meditation classes, book author events, and plenty more sleep-focussed action. With all this going on, it was impossible to speak to everyone we would have liked to, so we decided to focus on covering the best consumer sleep technology products and services at the show. Whilst we’ve seem sleep technology at the Consumer Electronics Show (CES) in Las Vegas since 2017, this is the first time the UK has witnessed such a wide array of sleep-tech under one roof. So we hopped on the overground to chat, mingle and get our hands on some of the best sleep consumer sleep technology at Somnex 2018. Here’s our round up of the best sleep gadgets of technology we saw at Somnex | The Sleep Show 2018. Can a robot help you to sleep better? This is the premise of Somnox, a soft, hi-tech ‘teddy bear’ packed with advanced sensors and features to promote relaxation and aid sleep. We interviewed Somnox co-founder and CEO Julian Jagtenberg last year, but this was the first time we got on our hands on the product and got to meet the makers. The physical sensation of holding the robot, and feeling the rising and falling of Somnox ‘breathing’ is hard to explain in words, but it certainly had a calming effect. Somnox is available for pre-order and with estimated delivery in Q1 2019. We wish Somnox the sleep robot all the success for the future! Also representing at Somnex 2018 was SleepScore. The company started out selling a hardware sleep tracker, the SleepScore Max (read our full review here), using a unique radar-based contactless sensor. Earlier this year, SleepScore came out with a phone app, using the same contactless sleep tracking principles, but this time using sonar. SleepScore has spent over 12 years on research and in that time gathered over 7 million nights of objective sleep data through its various devices. It uses this data to give a rubber stamp on a whole range of third party sleep products, which are ‘Validated by SleepScore Labs’. Part of this ‘ecosystem’ of validated products that was on display on Somnex 2018 included snoring devices, pillow speakers, solutions for blocking blue-light and more. A company we haven’t seen before is SilentMode who make a 360 memory foam sleep mask, with built-in speakers that provide an immersive high-quality audio experience. Whilst not specifically designed for wearing whilst you’re asleep at night, Silentmode is geared towards power-naps, recovery and relaxation. Silentmode is also used by athletes as a way to optimise their rest and naturally boost their performance. Also new on the block is Homni, a smart circadian lighting product from French company Terraillon. Homni is the first sleep technology product for the hundred year-old brand, which is well-known for their range of home and kitchen products. Designed in collaboration with the European Sleep Center, Homni is a smart solution that’s designed to blend effortlessly into your bedroom, and offer a range of scientifically-designed fall asleep and wake up programs. The touch-sensitive lamp gives you access to 16 million colours to create your own mood lighting. Homni also features built-in environmental sensors to detect temperature, humidity, noise and ambient light. Included with Homni is the Dot sleep sensor which attached to your pillow to track your sleep analytics throughout the night. Using the Wellness Coach app, data from the various Homni sensors is gathered to provide feedback and tips to improve your sleep. 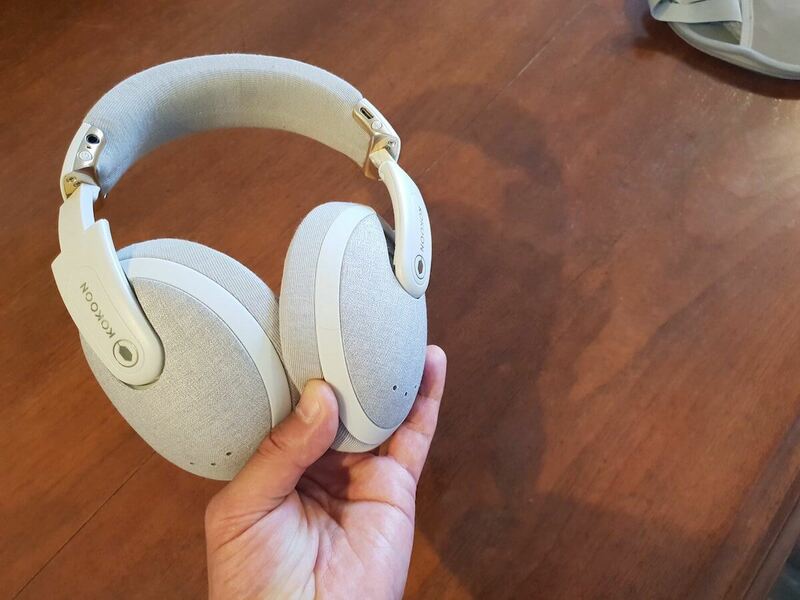 Kokoon has been a long time coming, having launched a Kickstarter for their EEG-equipped smart sleeping headphones back in 2015. The good news is that the product is ready and is finally shipping. As well as being one of the most comfortable pair of headphones I’ve ever tried, Kokoon boasts a whole load of smarts including EEG (brain activity) and movement sensors, active noise cancelling and Bluetooth. 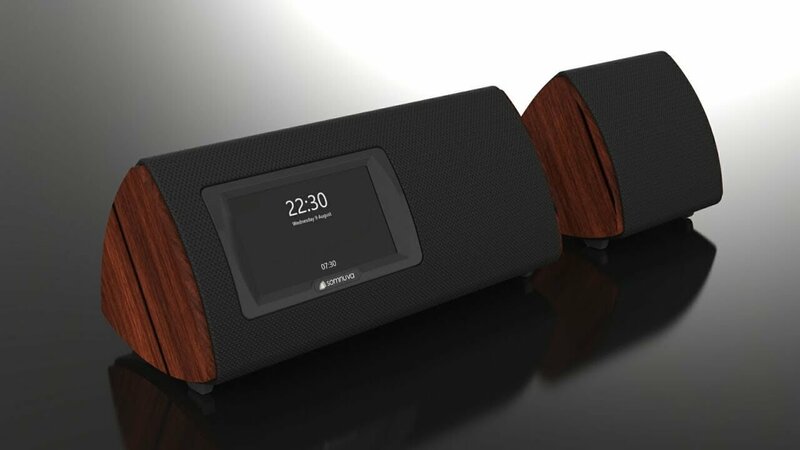 Kokoon also features a library of custom designed audio designed to help you relax and fall asleep. 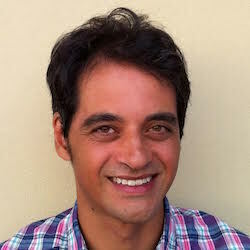 Incorporating cognitive behaviour therapy techniques, Kokoon provides sleep exercises with a proven success rate in clinical trials. Temperature is one of the most important factors for ensuring a good night’s sleep. French startup Moona uses a novel approach based on the science of thermoregulation to help you fall asleep, wake up and optimise your sleep throughout the night. Instead of regulation your entire body temperature, Moona focusses on one of the key heat exchange areas of the body, your head, neck and shoulders. The device consists of two parts, a pillow pad containing micro-cooling channels and a bedside device that circulates water throughout the pad at the desired temperature. So if you suffer from night sweats or find yourself getting too hot at night, Moona can cool your pillow down which in turn will regulate your entire body temperature. In the morning, Moona can gently warm your pillow to wake you up in a more natural way. The device also tracks your sleep at night and using machine learning, adapts to your individual sleep preferences to build a personalised temperature profile throughout the night. We first covered Oura back in 2015 when the Finnish started introduced version 1 of their advanced sleep tracking wearable, a ring that’s worn on the finger. Since then Oura has introduced generation 2 of the ring, with numerous upgrades including a vastly reduced size, improved battery life and more. Oura is one of the most stylish and sophisticated sleep trackers on the market, and was recently spotted on the finger of royal family member Prince Harry. More than just a standalone wearable, it’s a miniature sized computer with onboard sensors, battery and a processor that performs a lot of the computations on the ring itself before transferring the data to your smartphone. 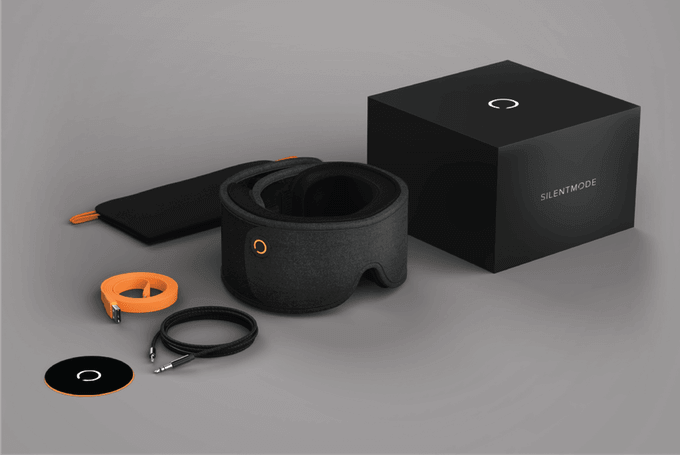 Oura measures the arterial pulse waveform, temperature, movement to calculate the different stages of your sleep as well as heart-rate variability and daily activity. Somnuva takes a different approach to helping you get to sleep. Their device looks like a sleep clock radio and with its extension speaker sits on either side of your bedside table. We’ve all heard about fitness trackers, and sleep trackers, but LYS is a startup that focusses on a much neglected aspect of our sleep – how light impacts our circadian rhythms. Light is the most important factor in regulating our sleep-wake cycles, but modern lifestyles mean that most of us end up with getting inadequate light in the daytime, and too much at night. This in turn has a negative effect on not just our sleep health, but also our energy levels, mood, concentration and productivity throughout the day. Featuring a sleek minimalist design (Lys is the Danish word for light), the company makes a tiny wearable that you clip onto your clothing. The sensor then records the ambient light throughout the day and with the accompanying app you will receive tailored advice on how to reach your recommended light goals. One of the most innovative and creative pieces of sleep tech we saw at Somnex 2018 was an app called Soundly which is a fun and easy way to reduce snoring. Whilst most snoring gadgets focus on stopping you from snoring whilst it happens, Soundly takes a preventative approach, using clinically-proven therapeutics techniques to reduce snoring. The app is based on research which shows that snoring – which occurs when the upper airway muscles relax – can be reduced by a structured set of ‘exercises’ which strengthens the muscles in your airway. Soundly’s innovation is that they’ve taken these clinical breathing exercises and turned them into a fun video game. The game involves you controlling an on-screen character by performing vocalisation sounds like ‘nee’ and ‘naw’ and ‘ng’. This engages the muscles of the soft palate, which acts like a “perfect pushup for their oropharyngeal muscles”. One of most fascinating conversations I had at Somnex was with Kurt of Hypnodyne, the company behind Zmax. On the surface, Zmax seems like a simple home EEG (brain activity) monitor to measure your sleep. But the technology, based on 8 years of research, is a potentially revolutionary platform that allows low-cost, long term, clinical-grade sleep monitoring in the comfort of your own home. Coming from an engineering background, and driven by an objectively science-first approach, Zmax has stripped back to first principles the methodologies, practicalities and incredibly complex technical challenges of sleep scoring, creating an easy to use, but incredibly powerful tool with a wide array of applications for both sleep hackers and researchers. Zmax has been recognised for its potential as a research grade acquisition tool and is currently deployed in several research institutes including Stockholm University and Karolinska Institute in Sweden. After hearing about Zeez for some years, it was good to catch up with co-founder Anna McKay to get the low down. Originally conceived over 10 years ago, Zeez is a fiendishly simple to operate device that hides its technology inside a sleekly designed pebble that you put under your pillow at night. Unlike most of the sleep technology we come across, Zeez is refreshingly easy to use. There’s just one button to press before you go to bed. No apps, no Bluetooth. Just the device itself. The Zeez Sleep Pebble works by emitting a range of frequencies throughout the night, that mimic the alpha, delta and theta brainwaves of the sleeping brain. By a process of entrainment, the low level pulses of Zeez are able to help you relax and achieve a deep, restorative sleep. That’s it for our round of some of the best sleep technology at Somnex | The Sleep Show. We hope to bring you more news on these and other exciting products in the near future. Stay tuned!